Hello Friends! Isn’t the weather invigorating these days! We finally get to emerge from the depths of our air conditioned spaces and breathe fresh air and seed wildflowers and watch the desert bloom – again! I love this time of year in the low desert. 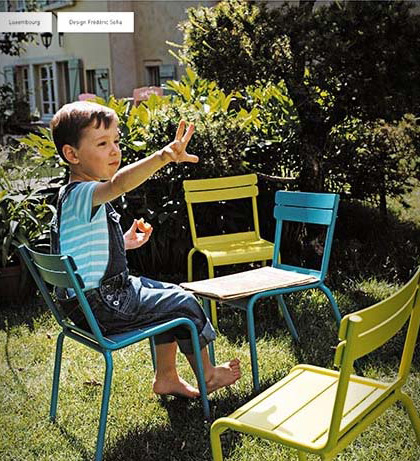 I also love this line of furniture by Fermob. I recently discovered them at the annual ASLA conference in Washington D.C. Then their extraordinary catalogue arrived in my mailbox. 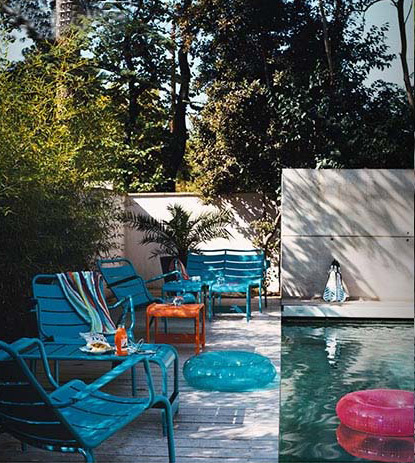 All models are constructed of steel or aluminum, boast clean lines and are soaked in colors that transcend the rainbow. There is a model to satisfy any style and a color for every craving. How about a mini set for children! 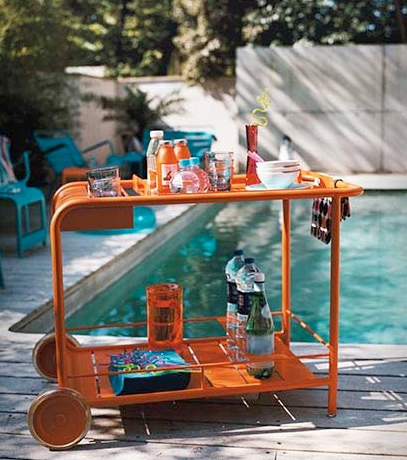 I want the turquoise and orange set below and the drink trolley above.